Booking a ticket at FareHawker is very simple, so you have more time for the important things in life. 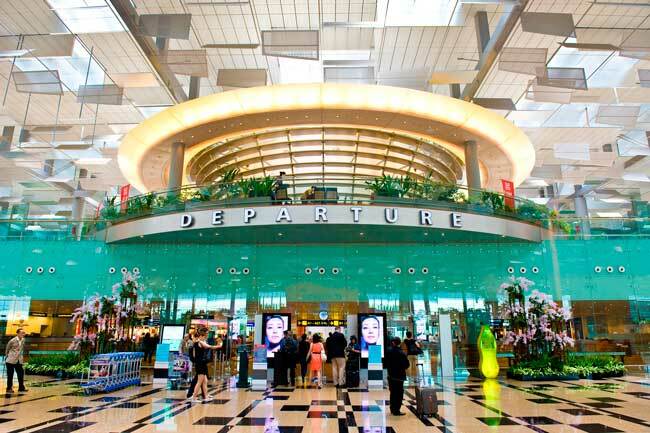 All you have to do when looking for a flight is select route for Singapore to Kualalumpur and on which travel dates. FareHawker does the rest by sorting through the available flights and cheapest fares for those dates. Our results page will then display the available flights, cheapest prices, times and flight duration for your search. At that point, you just have to decide which of those tickets you wish to book, then enter the passenger and payment details, confirm, and pay for your tickets. It's that simple! All the tools and resources you need to make the most of your online booking and planning we guarantee the best pick. From the lowest fare to charter flight or even group booking we have it all round the year, book your next flight for best airfare. Officially known as Republic of Singapore. Sometimes referred to as the "Lion City", the "Garden City" or the "Little Red Dot", is a sovereign city-state in Southeast Asia. Over 10 million tourists visit Singapore each year, and the government is working on making the city an even more attractive tourist destination. The city of Singapore is located in the country of the same name. In this amazing city, you’ll find a unique blend of traditional Singaporean, colonial and Western culture. Singapore is much more than the sum of its numerous attractions. It’s constantly evolving, reinventing, and reimagining itself, with people who are passionate about creating new possibilities. It’s where foodies, explorers, collectors, action seekers, culture shapers, and socializer’s meet―and new experiences are created every day. Flights to Singapore are in demand throughout the year thanks to both business travellers and tourists. Nice to know - No lions in this Lion City, Srivijayan Prince from Palembang saw a creature he thought was a lion and named the island Singapura which means Lion City in Sanskrit. But truth be told, there were no lions ever in Singapore. It's possible that the creature he saw was actually a tiger. Best time to visit - Feb-April: The months between the summers and winters are quite pleasant. Plenty of outdoor activities become available then.